New Delhi : British national Christian Michel James, the middleman wanted in Rs 3,600-crore AgustaWestland VVIP chopper deal case, was extrdited to India on Tuesday night from the United Arab Emirates (UAE). He was taken straight to the CBI headquarters from the airport here. The Central Bureau of Investigation (CBI) took James, 57, under its custody as soon as he arrived at the Indira Gandhi International Airport here around 11 p.m in a special aircraft, accompanied by a team of CBI, Research and Analysis Wing (RAW) and Ministry of External Affairs officials. Once the immigration process was over at the airport, James went through a medical examination in the presence of customs and other officials. Subsequently, he was escorted by a Delhi Police team to the CBI headquarters in south Delhi's Lodhi Road area for interrogation over his alleged role in the purchase of 12 AW-101 VVIP choppers from AgustaWestland. James would be confronted with documents recovered during raids by the Swiss authorities and shared with the CBI through Letters Rogatory (LRs) -- documents used for making request through a foreign court to obtain information from specified person/s within the jurisdiction of that court -- indicating the bribes paid by James to the Indian authorities for securing the contract for the supply of VVIP helicopters. James, who had been avoiding criminal proceedings in India, is likely to be presented at a special CBI court in Delhi's Patiala House court on Wednesday afternoon. The central probe agency in a press note said the entire extradition operation was conducted under the guidance of National Security Adviser Ajit Doval, with the coordination of interim CBI Director M. Nageswara Rao. A team led by Joint CBI Director A. Sai Manohar was in Dubai during the extradition process, the note said. The action comes after the Court of Cassation in the UAE in November upheld a lower court order which said that Michel could be extradited to India. According to the report, James was kept under detention at the Dubai Police's Criminal Investigation Department (CID), as per the Indian government's request. The extradition was undertaken in coordination with the Interpol and the Dubai CID. James is one of the three middlemen being probed by the CBI and the Enforcement Directorate (ED) in connection with the alleged scam. Last year, a Red Corner Notice (RCN) was issued against James by the Interpol on a request by the CBI. RCNs were also issued against two Italians -- Carlo Gerosa and Guido Haschke -- for their role in the case. According to the Indian investigative agencies, James had received at least Rs 235 crore for ensuring that the chopper contract went to AgustaWestland. He was a frequent visitor to India, having undertaken 300 trips to this country between 1997 and 2013. Earlier, the ED officials had said that bribes to James were paid through a web of companies located abroad and in India on the pretext of payment for consultancy work. James also used his Dubai-based firm Global Services FZE as a conduit for receiving money. A CBI chargesheet in the case also named four Indians -- former Indian Air Force (IAF) chief S.P. Tyagi, his cousin Sanjeev Tyagi alias Julie, then Vice Chief of the Air Staff J.S. Gujral and advocate Gautam Khaitan. Others named in the chargesheet included Giuseppe Orsi, the former chief of Italian defence and aerospace major Finmeccanica, and Bruno Spagnolini, former CEO of AgustaWestland, apart from middlemen James, Haschke and Gerosa. 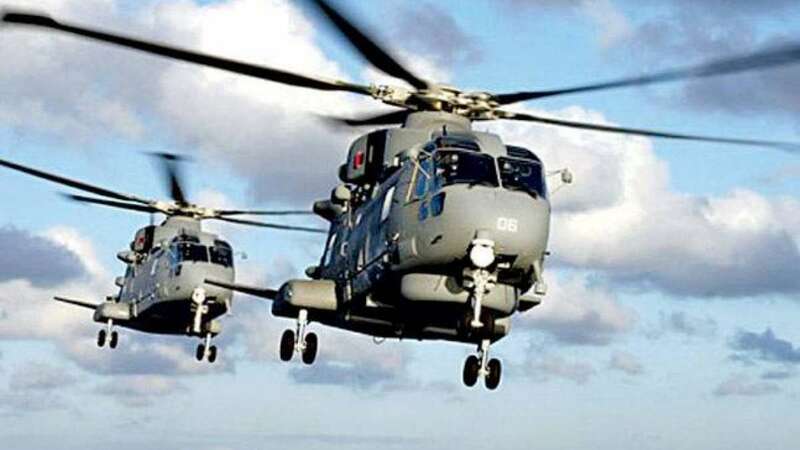 On January 1, 2014, India cancelled the contract with Finmeccanica's British subsidiary AgustaWestland for supplying the VVIP choppers to the IAF over alleged breach of contractual obligations and on charges of paying kickbacks to the tune of Rs 423 crore. The CBI, which registered an FIR in the case on March 12, 2013, had alleged that Tyagi and other accused received kickbacks from AgustaWestland to help it win the contract.